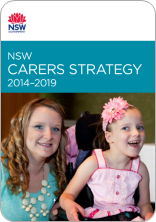 The NSW Carers Strategy (the Strategy) is a five-year plan to improve the position of carers in NSW. The strategy will be implemented by government, non-government organisations and private businesses in partnerships designed to deliver better services and support for carers. The Department of Family and Community Services (FACS) is the lead agency for the Strategy and has led the development of the Strategy, with assistance from the Ministry of Health and Carers NSW. 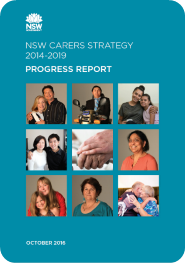 The Strategy is the result of an extensive collaboration with more than 2,500 people, mostly carers, who shared their ideas on how government agencies, business and community groups could better support carers. During the co-design FACS brought hundreds of peoples’ ideas together through collaborative workshops, the NSW Ministerial Carers Strategy Summit and Have Your Say online consultations. The Strategy contains practical approaches that will make a real difference in carers’ lives, not only in the care they provide, but in important areas such as employment, education and health and wellbeing. 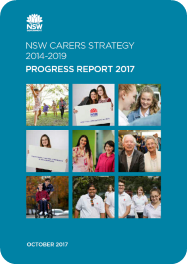 The NSW Carers Strategy builds on what the NSW Government is already doing to raise awareness and recognition of the challenges carers face. It complements reforms in other areas such as disability, mental health, and ageing. It also provides a broader context for the ongoing implementation of the NSW Carers (Recognition) Act 2010. 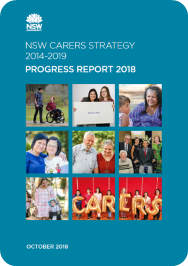 The specific needs of carers from culturally and linguistically diverse backgrounds, Aboriginal carers, carers living in rural and remote areas, young carers and older carers have been considered during the Strategy's development. As the lead agency for the Strategy Family and Community Services (FACS) has worked collaboratively with other organisations, including through a Project Management Group comprising internal and external stakeholders. Read more about the Carers Strategy Project Management Group and its membership here. FACS will continue to work collaboratively as we implement the Strategy. For more information on the starting point for discussion and consultation with stakeholders see this background paper. The Carer Strategy Implementation Committee (CSIC) was established in April 2015. The Committee oversees the implementation of the Strategy, including project implementation as well as long term direction for reform. CSIC members include carer representatives, relevant government departments and external stakeholders. The CSIC is also overseeing the development of the Carers Strategy evaluation. Read the CSIC Terms of Reference.